Today’s recipe features Pechay. It has two great benefits: it is budget friendly and takes less than 30 minutes to prepare. You may substitute the pork with beef or chicken. It may be served alone or if you would like, you could add a spoonful of rice. Chop the pechay, tomato and onion into large chunks. Cut the pork into fine strips. Heat a frying pan and drizzle with cooking oil. Add the onion and garlic, cook for a couple of minutes then add the pork. Keep cooking for 5 minutes while tossing the ingredients. Pour the fish sauce and water, stir and let it simmer for 15 minutes. When the pork has cooked through but is still tender, add the pechay . Toss everything together and turn the heat off. Set aside and leave it to rest for the juices to combine. Serve hot. Source: Slightly adapted from Panlasang Pinoy. 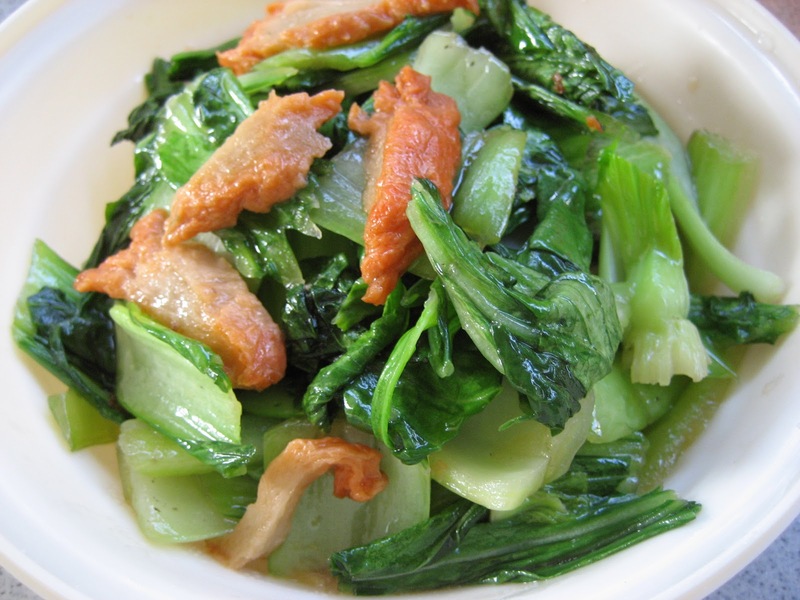 Categories: Pechay, Recipes | Tags: dinner, main course, stir-fry | Permalink.